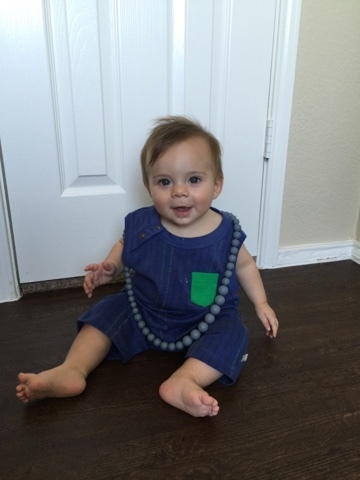 Teething bracelet and necklace are both from Nuby. Functional jewelry for the win! Those pesky teeth, I tell you what. Otto boy has the telltale runny nose on full blast currently and I can see those top 2 teeth getting ready to poke through. So far he's been a little less dramatic than Milo (about everything) so hopefully these 2 won't be too awful. In the meantime, teethers are scattered throughout the house and you can find him gnawing on carrot sticks all the day long. This little teether bracelet is the best. 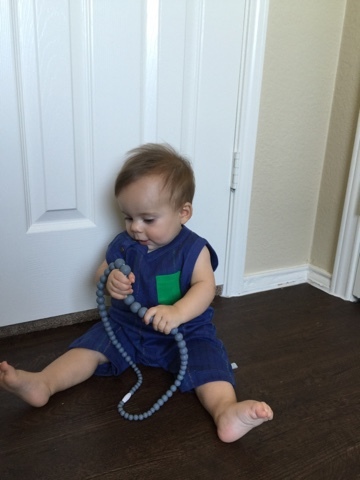 It straps onto him and vibrates with every movement, which he thinks is hilarious. 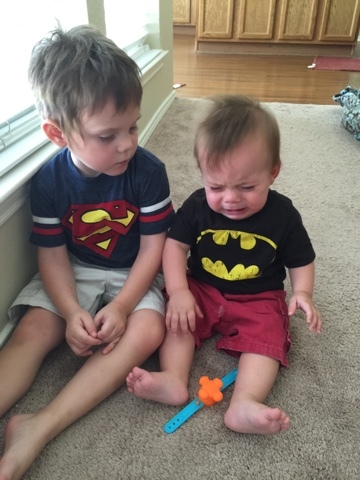 Otto isn't a huge fan of actually wearing it, but Milo had a similar bracelet toy that he never took off. To each their own, but he certainly loves playing with it and biting down with his sore gums! And then there's those two little hands, always hunting for something to pull at, grab, poke, and explore. It just so happens that the targets most often within his reach include my hair and any jewelry I may be wearing, so let's be honest- this gray necklace is 75% for him and 25% because it's fun and I love it and he can't break it. 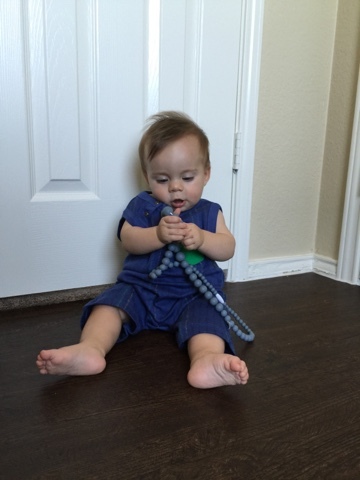 PLUS it's specifically meant as a teether, which makes it all the better! And let's not talk about how I took scissors to and 6 inches off my hair on Saturday because it's hot and Otto's arms are getting longer and longer and who even has time for haircuts anyways? Life with babies is magical. I can't get over how much I'm LOVING doing it all again, and it's all so different this time around. 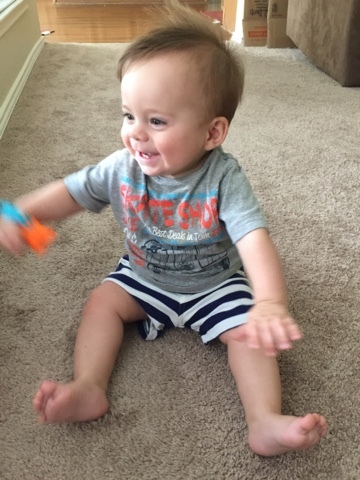 Otto boy is 9.5 months old and just started hobble crawling 2 days ago. It's darling and that sweet boy can take his good time to be mobile! 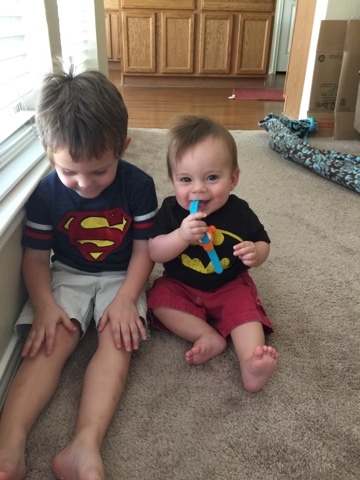 My boys are turning out so different, but at the same time so similar. Nothing I love more than my front row seat to see it all unfold!